The politics over the promise to cut fares has dominated the mayoral election agenda for transport. But commentators and campaign groups criticised mayoral hopefuls for "lacking vision" for transport projects for London. Since Labour candidate Ken Livingstone, the main challenger to the current Conservative mayor Boris Johnson, announced his 'Fare Deal' - a 7% cut - the two have locked horns time and again over the issue. Transport commentator Christian Wolmar said: "Ken Livingstone went in early on the idea of cutting fares and discomfited Boris. It became a political issue. "The idea of a pound in your pocket... it has resonance with people, more than perhaps building a new Tube line." The incumbent vying for a second term has said the annual strain on people's pockets is lower than expected - a 5.6% rise rather than the projected 7% - and money was needed for Tube upgrades. Liberal Democrat Brian Paddick also cast doubts on Labour's promise saying it would eat into funds meant for investment. Other fare related promises include protecting the Freedom Pass and better value from tickets, for instance Mr Paddick's one-hour bus ticket. Commentator Martin Hoscik, from MayorWatch, said: "They're [fare cuts] effectively a form of shorthand - telling voters 'I'm on your side' in much the same way Westminster parties use income tax." But candidates are "playing safe" and not promising big new projects, experts said. 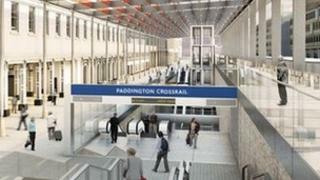 Since 2008 London has seen four new major transport projects, although there is debate over who came up with the ideas. Oyster cards were extended to national rail and some river services; the cycle-hire scheme began in 2010 and has since been extended up to the Olympic Park; and in 2012 prototypes of New Bus for London began service - a key manifesto pledge by Mr Johnson in 2008. Construction for Thames cable car is also under way. Mr Hoscik said: "Voters know we're in tough times and are likely to be sceptical of candidates who offered a raft of expensive, big ticket projects." Mr Wolmar agrees, but added: "What is lacking though is a vision that would make a massive difference, say making bus transport easier. "There is no imagination this year in terms of promises." A spokesperson for Mr Livingstone said: "The flagship project for this term is Londoners themselves - easing the pressure on them in tough times by putting money back into their pockets." Mr Johnson's spokesman said the mayor "secured £22bn" for Tube upgrades and Crossrail. "He will also pave the way for automated trains on the Tube, which will drive down the cost of running the network and therefore drive down the cost of using the network. " But Green Party candidate Jenny Jones said Transport for London "is up to its ears in debt... which is why the other parties aren't promising even more brand new unfunded schemes". This may help explain why the manifesto pledges of many candidates appear similar. Greens, Liberal Democrats, Conservatives and Labour have all to deliver Tube upgrades, Crossrail and promote cycling. Labour and Greens promised step-free access for a third of Tube stations by 2018. While the three challengers to Mr Johnson promised to deliver "affordable fares" and discounted tickets. The Greens said their "radical", but "realistic" plan for "cross-London road pricing scheme" would generate funding for step-free access, extending Tramlink and promoting cycling like in Amsterdam. The Liberal Democrats promise to "increase capacity on the Tube, the train and London buses, real measures to help keep fares down". On the other hand the two frontrunners Mr Johnson and Mr Livingstone have more than 10 pledges in common. A spokesperson for Campaign for Better Transport said: "There's little to choose between their public transport programmes. "Johnson has largely maintained the investment programme developed by Livingstone - Crossrail, bus service expansion, Tube modernisation, London Overground - as these kind of investments are long term. "Neither candidate is making any commitments other than to take over suburban rail and to make the case for investment in Crossrail 2, Croydon Tramlink and [in Ken Livingstone's case] CrossRiver Tram." Campaign for Better Transport said it wanted the new mayor to make £98m available over three years for improving bus and rail links and promote cycling in outer London. Passenger watchdog, London TravelWatch, also called for more buses for outer London, making streets more pedestrian-friendly and the removal of gyratory systems and one-way roads. Lianna Etkind, from disability charity Transport for All, said: "More than big flagship projects, disabled and older Londoners simply want to be able to use the trains and buses that are already there. "The New Bus for London was a step backwards for disabled people. "Its limited wheelchair space means that wheelchair users, older people with shopper trolleys and rollators and assistance dog owners will continue to have to battle for space with pushchair users and people with luggage."